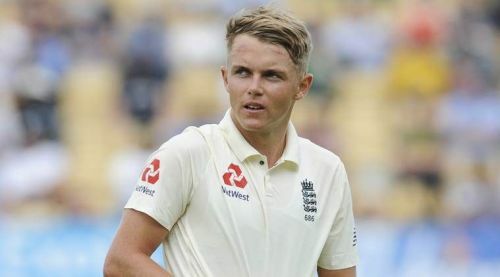 Sam Curran, the 20-year-old baby-faced Surrey youngster has recently bagged the Man of the Series award in the mega England-India clash played across 5 matches. For a 20 year kid who has only played a handful of Test matches and still new to the international arena to achieve, this feat is simply eye-popping. “We have found a diamond of a player in Sam Curran”, these were the words of James Anderson after the conclusion of six-week long England-India Test Series. If someone who has played international cricket for more than 15 years is saying this, you have got to believe this lad Sam Curran is pretty special. Kevin Curran, the former cricketer and father of Sam who sadly passed away in 2012 might be extremely proud of his son if he is watching from somewhere above. One thing Sam inherits from his late father is the fighting ability and never give up sort of attitude which was fully on display during the recently concluded Pataudi Trophy as well. His ability to turn the course of the match through both batting and bowling in the crucial stages simply made him the stand out performer of the series and worthy of the MoS award. Going by the stats, Sam scored 272 runs and took 11 wickets in the 4 matches he played during the series. Ironically, England lost the only match in the series and Sam was dropped for that match to accommodate the returning Ben Stokes in the team. Apart from the stats, the way Sam played throughout the series may that be batting superbly with the tail or playing spin bowling reasonably well or picking up the key wickets as and when necessary drew some high praise from the pundits, fellow teammates and the opponents as well. The rise of Sam Curran has been a massive positive of the summer for England Cricket and now it’s upon Sam to keep on shining brightly.